Friendly staff and great, safe location. Hot showers, crisp linens. I slept very well. Public transportation and supermarkets, shopping, second hand boutiques, bars, food etc. close by. I wish there was a lockable closet for each guests luggage- just feels better. I would stay here again any time! One of the best hostels i’ve stayed in. 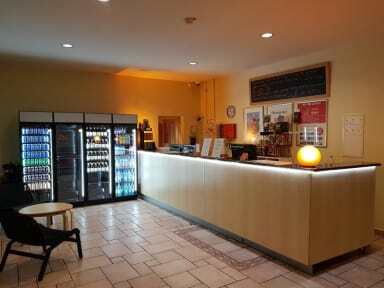 Staff is very friendly, rooms are clean, bathrooms and shower rooms were clean. Wifi is weak in the dorms. It was the cleanest Hostel I’ve ever seen.They clean everything like a Hotel everyday.The Breakfasts for 6,99 was complete.the Price is the cheapest you can find in Germany.so I’m gonna absolutely stay here again. Good place to stay, not the most social place, and also many of the guests are older. That's not a problem, just something to be aware of. 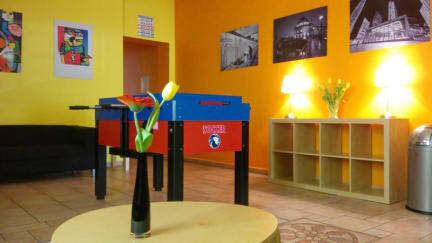 The hostel is clean and never overcrowded. The people in my room were nice and quiet. The bad thing of this hostel for me is that nobody can use the kitchen: it is just for staff use during the breakfast. Staff could be more friendly and have better knowledge on giving advice for the subway. Some bus stops are hard to find. Full of old weird guys this place was aweful .